Rammasun, the biggest typhoon to hit southern China in 40 years, has killed 17 people, after wreaking death and destruction on the Philippines. 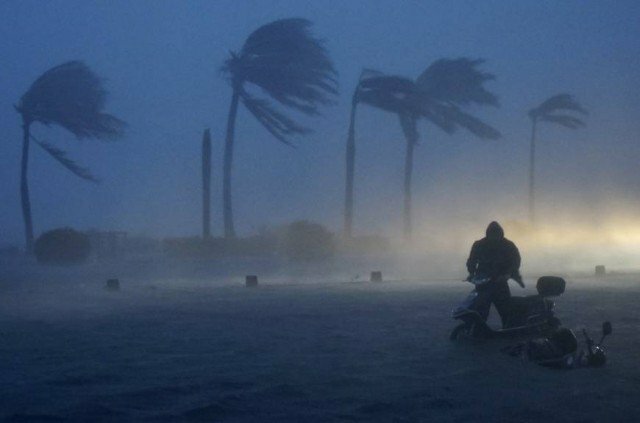 Typhoon Rammasun killed at least eight people on the island of Hainan, with others missing, and nine in the Guangxi region, state media say. It made landfall on Friday with winds exceeding 124mph. At least 94 people were killed when Rammasun ravaged the northern Philippines earlier this week. The storm is also affecting Vietnam, where heavy rain is expected before it starts to weaken on Monday. Air, rail and road traffic was suspended in parts of China while TV channels showed roads littered with debris including uprooted trees and rooftops. On Hainan, another source gave the death toll as 18 while the number of people missing is said to be between two and five. It is the strongest typhoon experienced by southern China since the 1973 typhoon season, the country’s Meteorological Administration said on its website. That year’s Super-Typhoon Nora had maximum winds of 295km/h although it had weakened by the time it made landfall. Most of the people killed in the Philippines were hit by falling debris and trees, disaster officials said, while some of six people reported missing had been at sea on boats. A new typhoon, Matmo, with maximum winds of 150km/h, is now threatening the area ravaged by Rammasun, Philippine National Disaster Risk Reduction and Management Council spokeswoman Mina Marasigan told AFP news agency. About 20 major storms hit the Philippines a year, AFP adds. The south-east Asian country often bears the brunt of the storms, which mass above the warm Pacific Ocean waters.